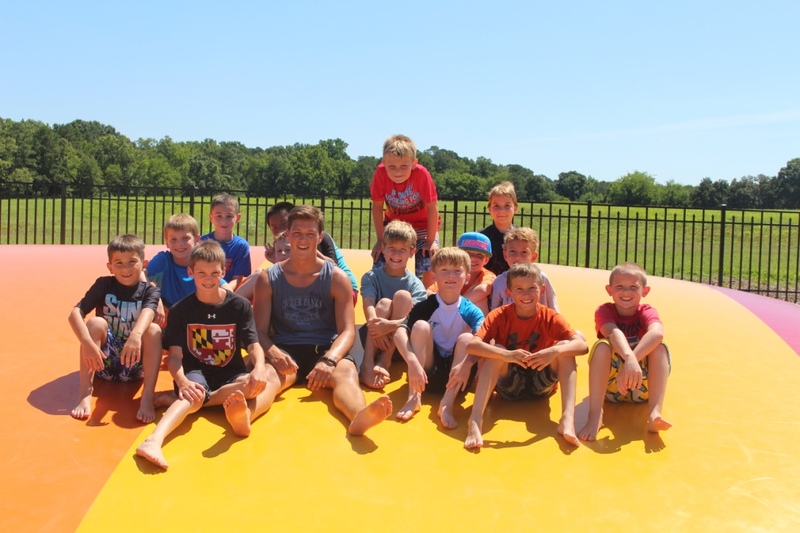 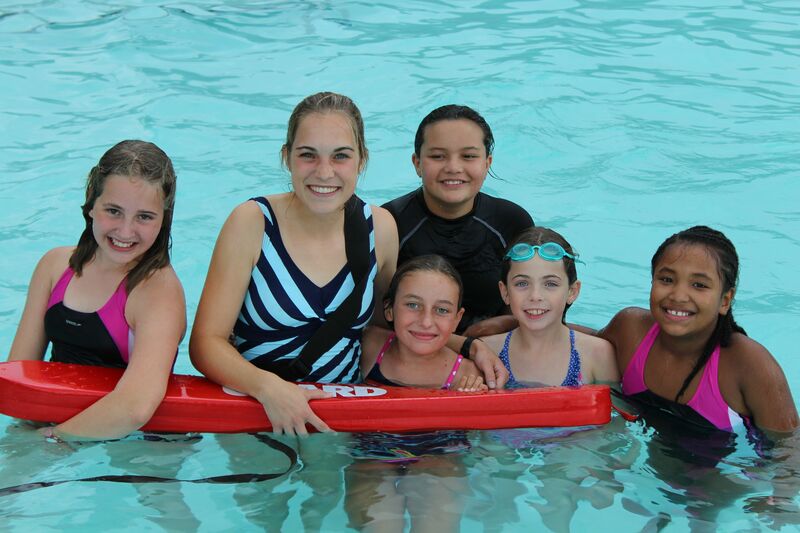 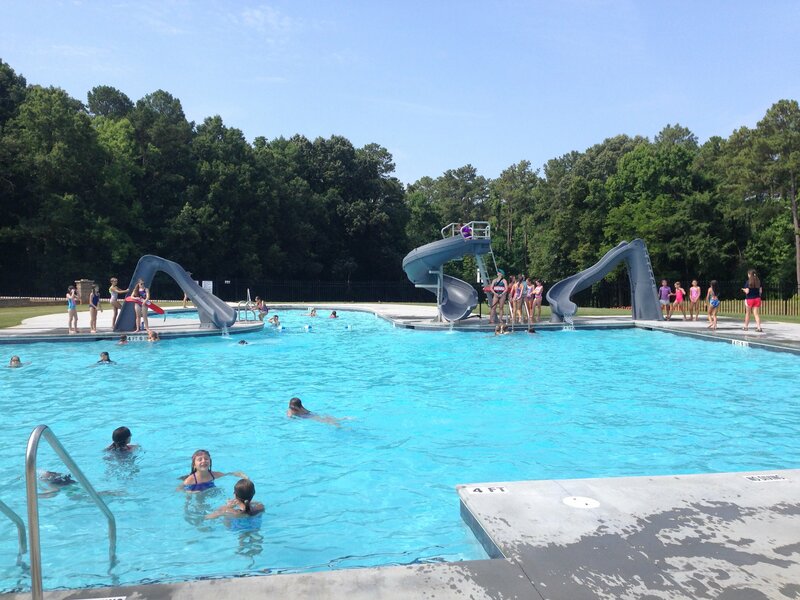 Campers will find that swimming is a large part of our recreation program. 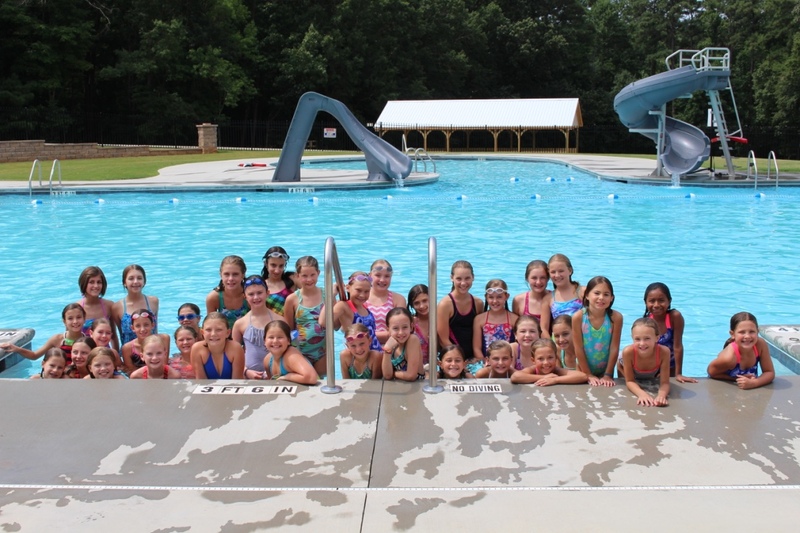 Basic swimming stroke skills will be taught. 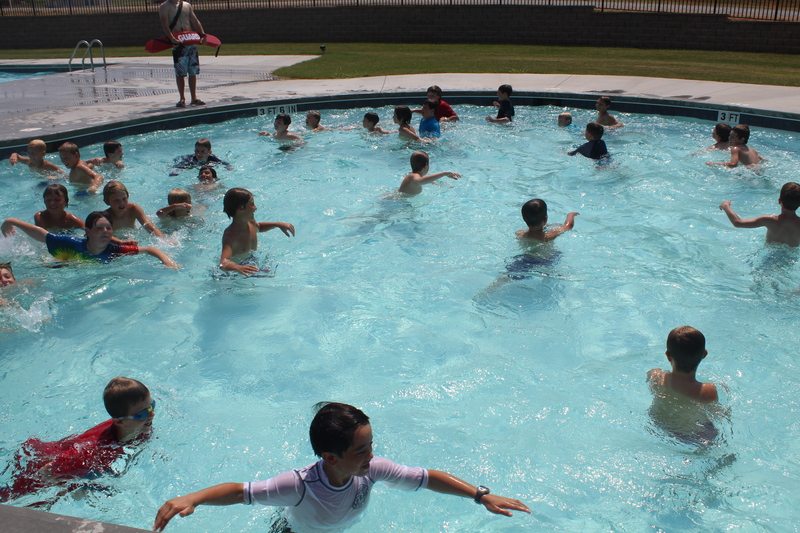 There is also ample time to play water games and free swim with your friends. 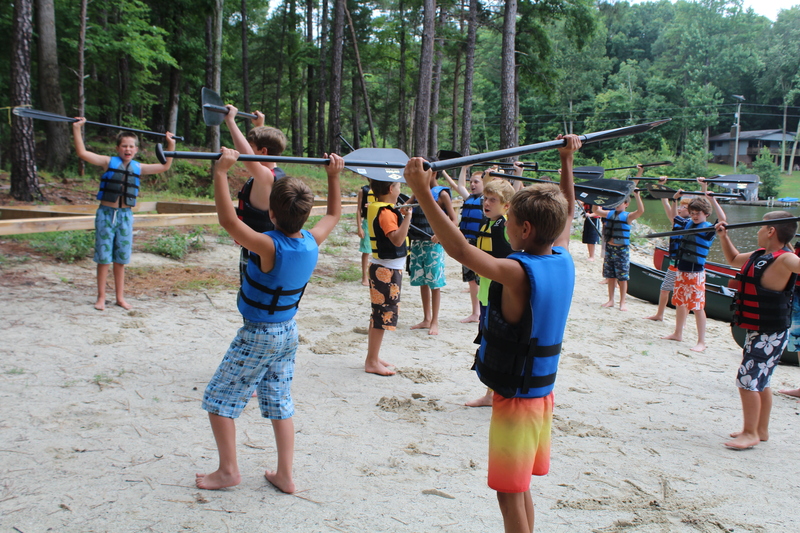 Each camper will have multiple times to swim each day. 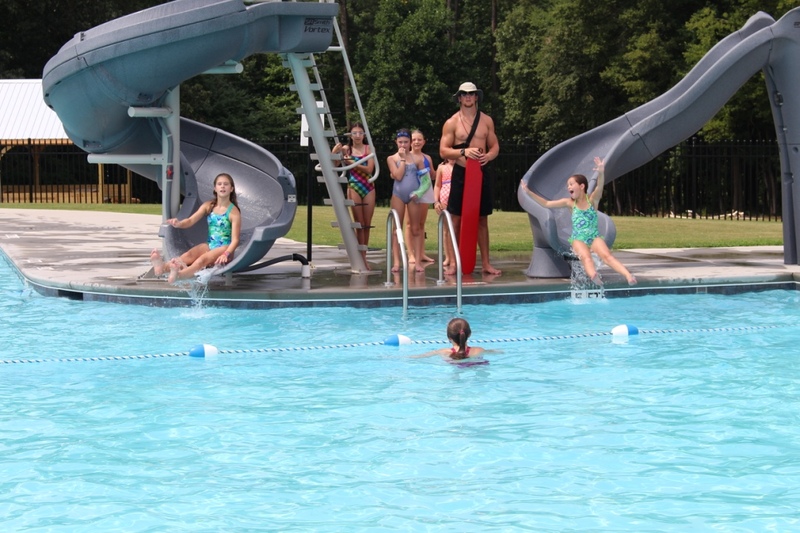 Our swimming pool has multiple water slides and a maximum depth of 5 feet. 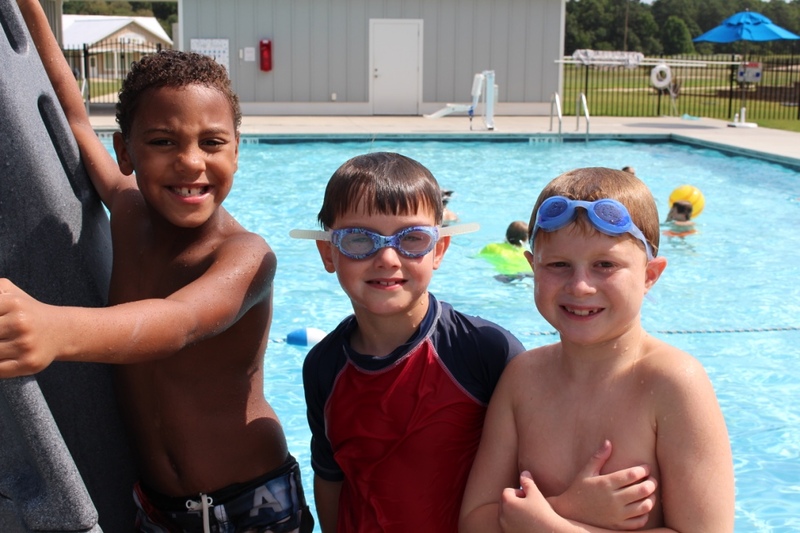 Lifeguards are on duty at all designated swimming times. 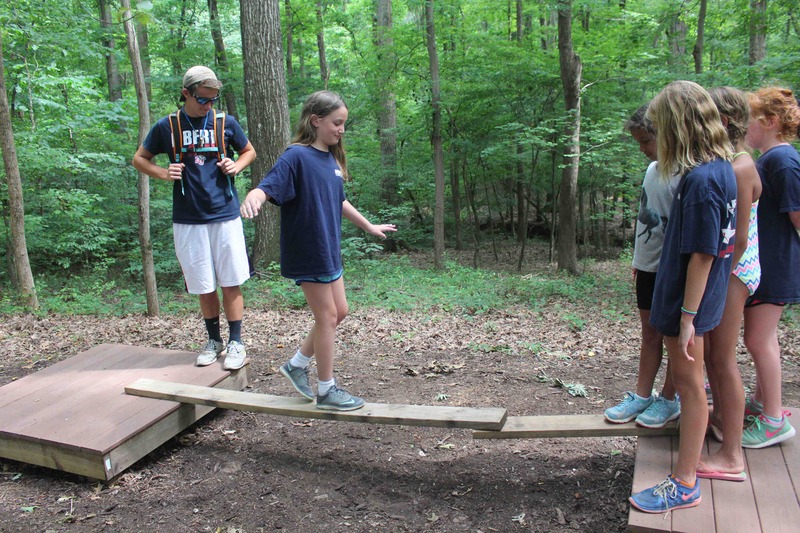 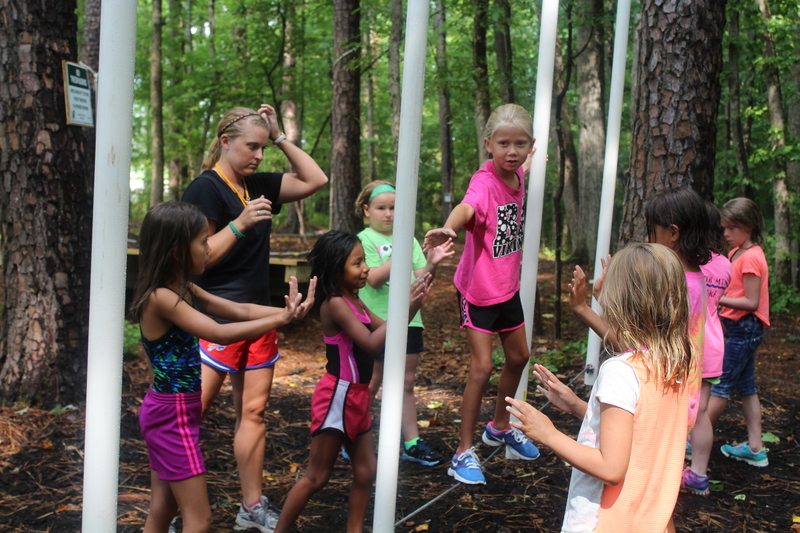 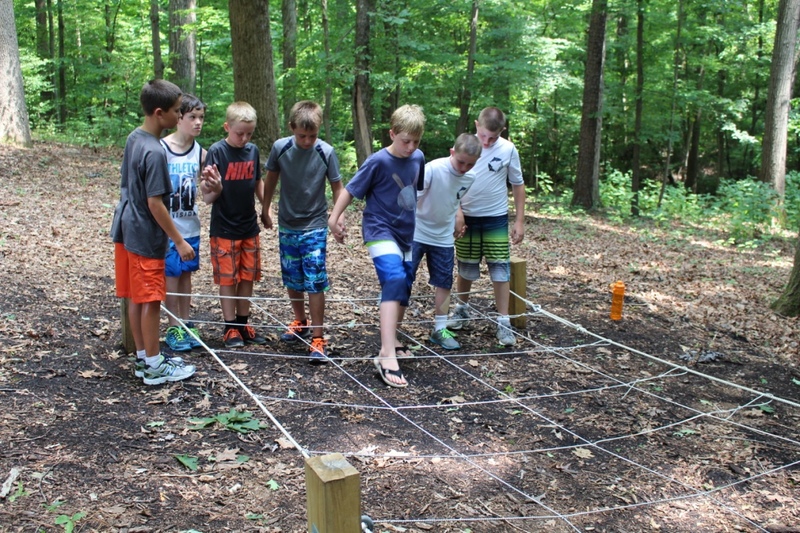 Our low ropes course will present all groups with physical challenges as well as problem solving situations. 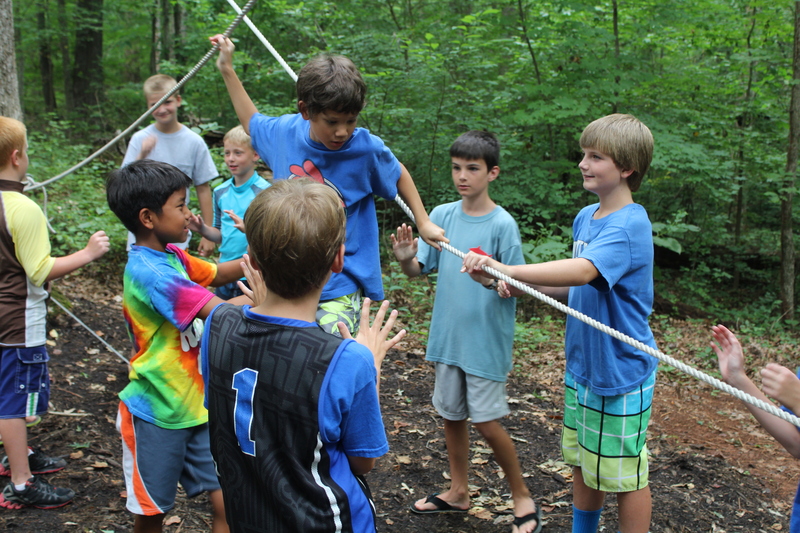 The emphasis of each element is placed on developing cooperation and trust among all group members. 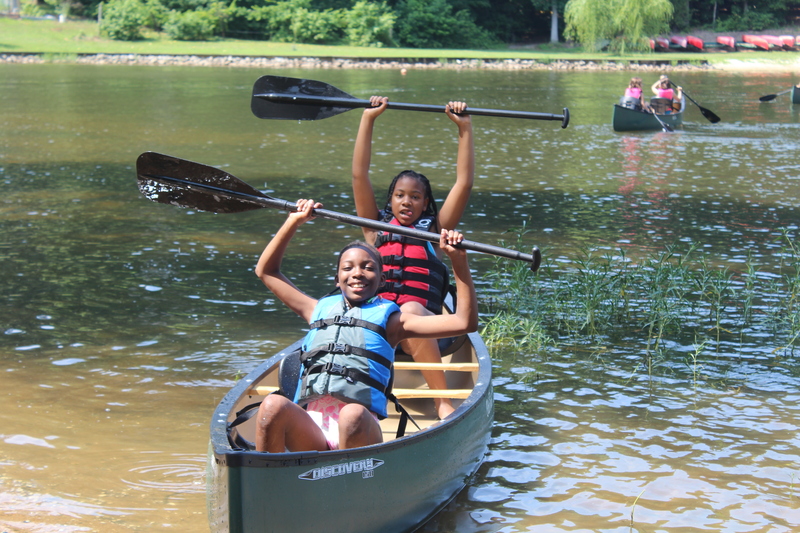 Our canoeing instructor will teach all campers the parts of the canoe and paddle, as well as proper technique for handling a canoe. 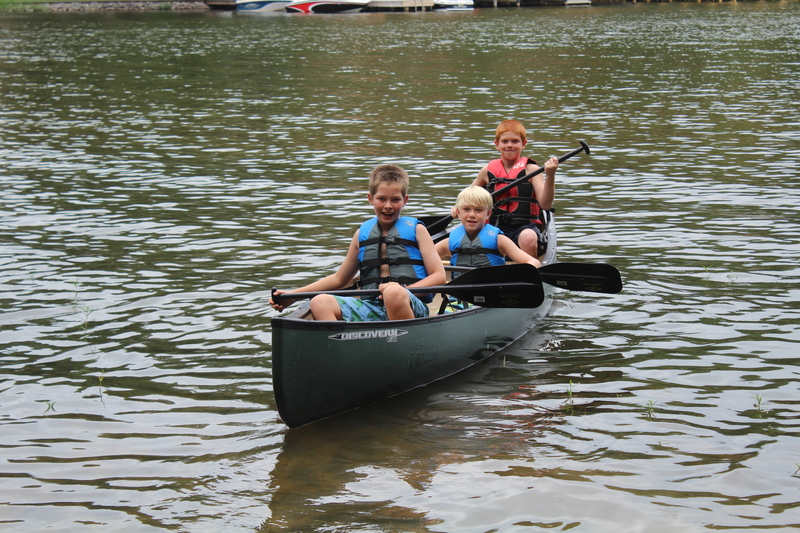 Each camper will have the opportunity to practice their skills and technique daily through races, games, and short trips. 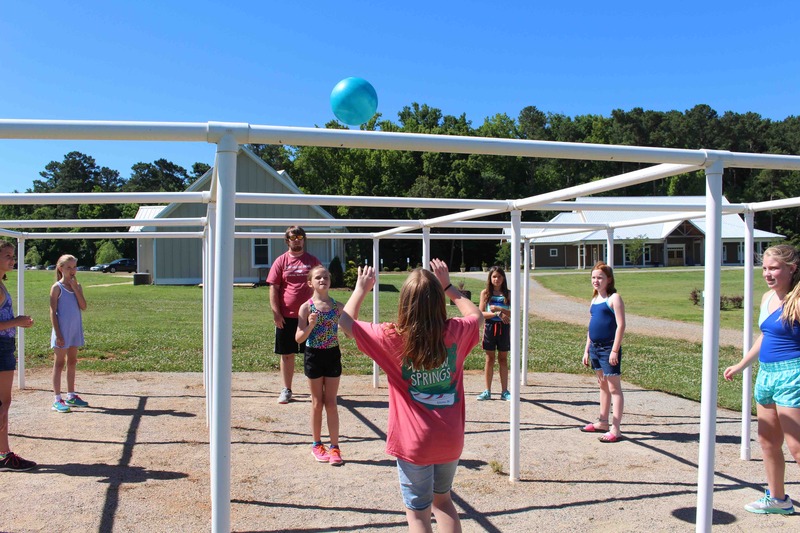 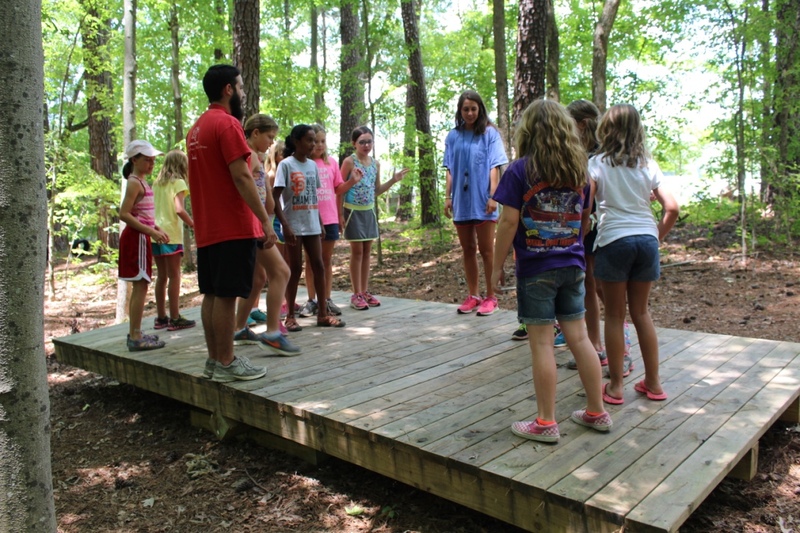 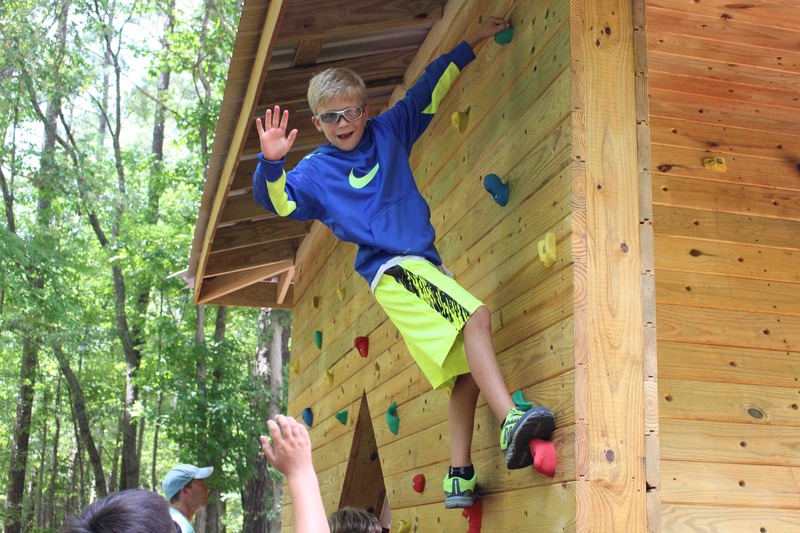 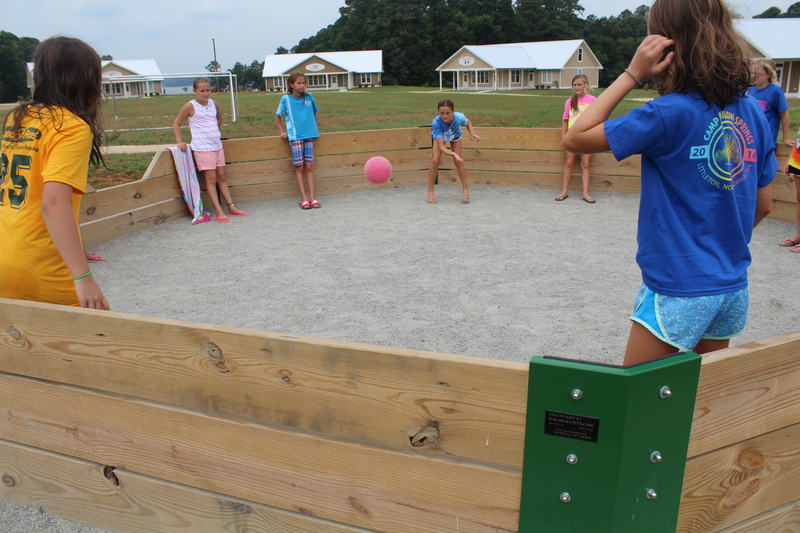 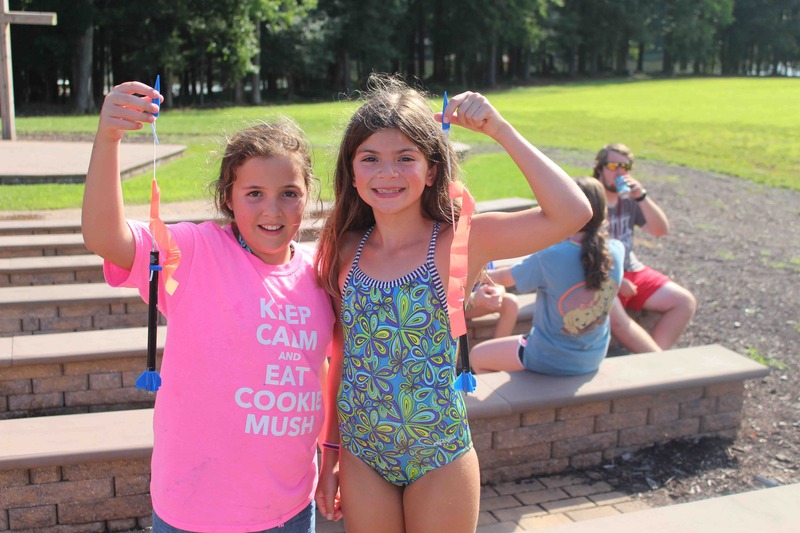 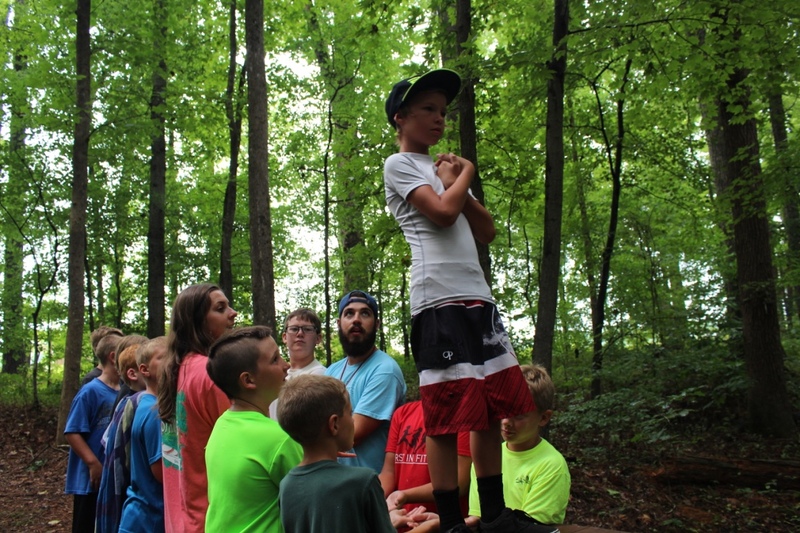 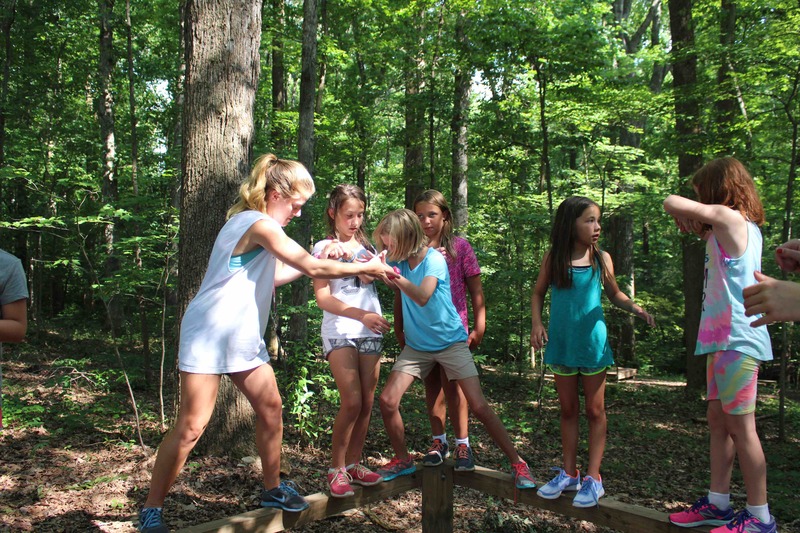 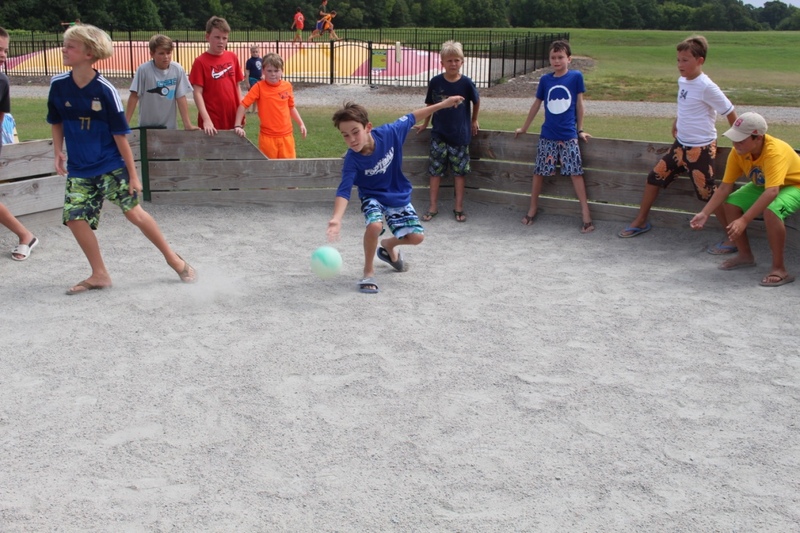 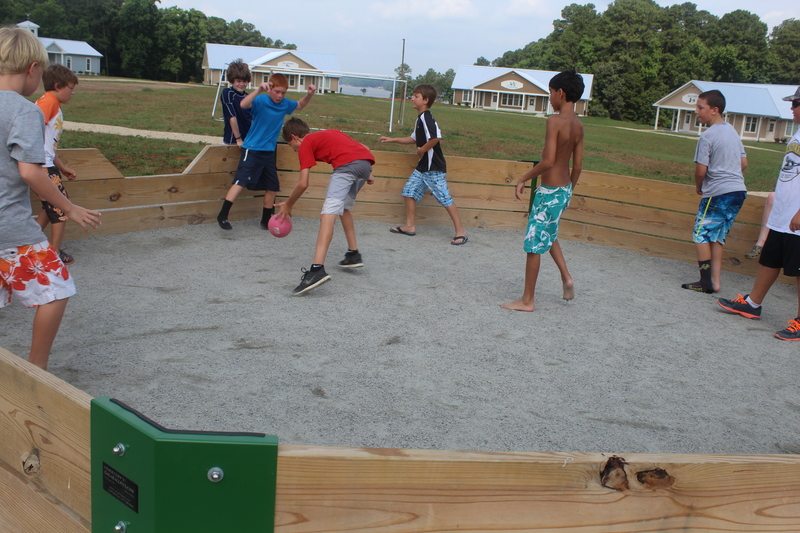 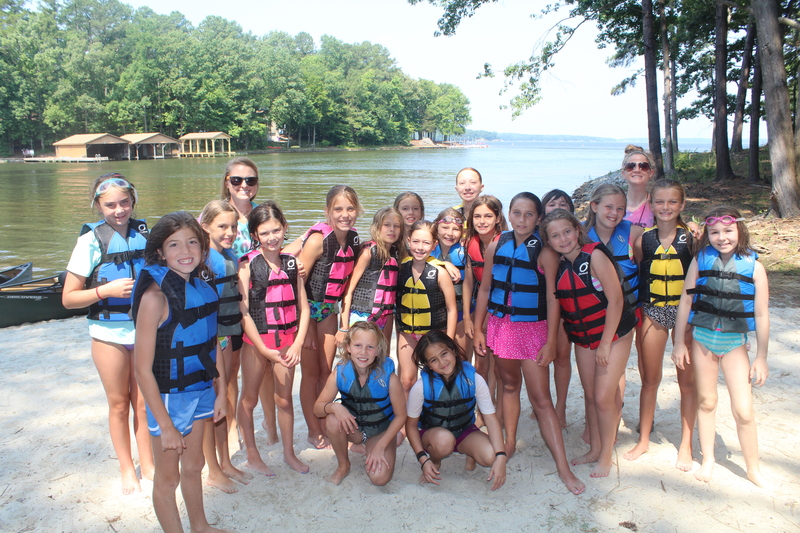 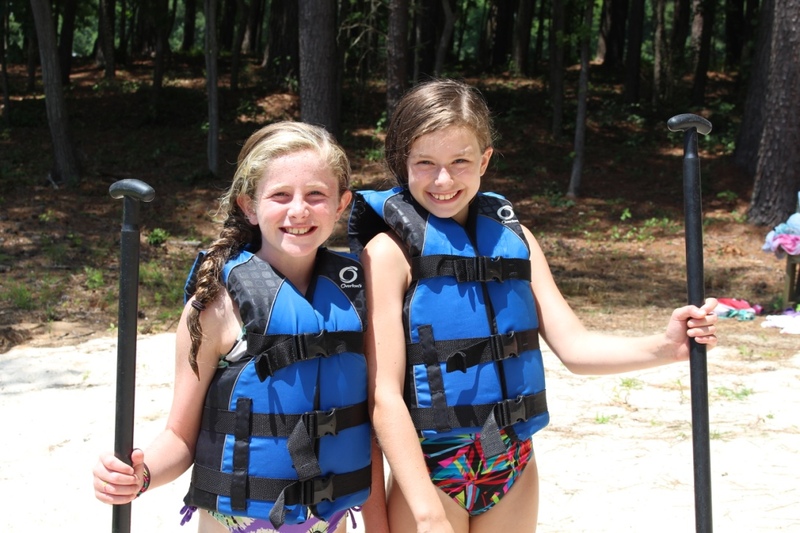 This activity is sure to leave campers with lots of memories! 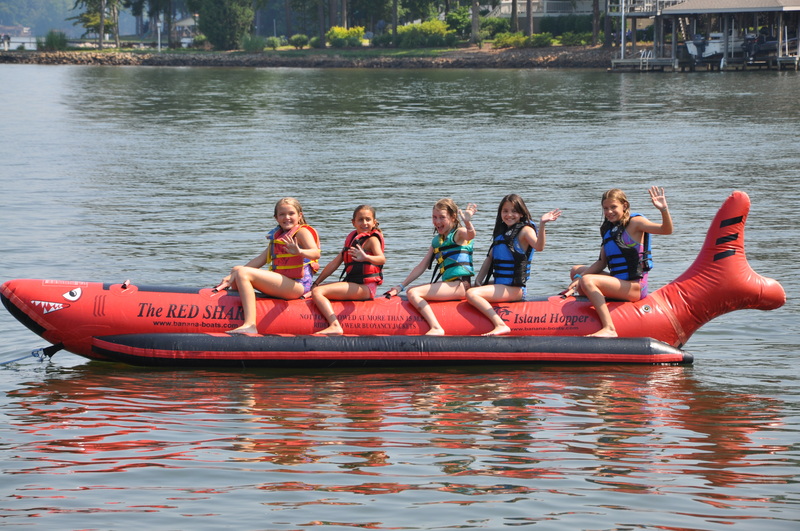 The Red Shark is a favorite for many CWS campers. 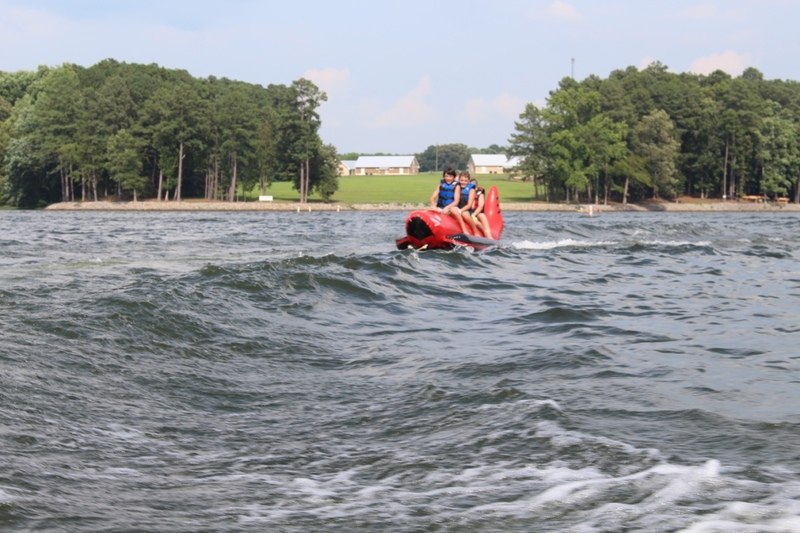 This towable is pulled behind one of our ski boats and will seat 4 or 5 riders at a time. 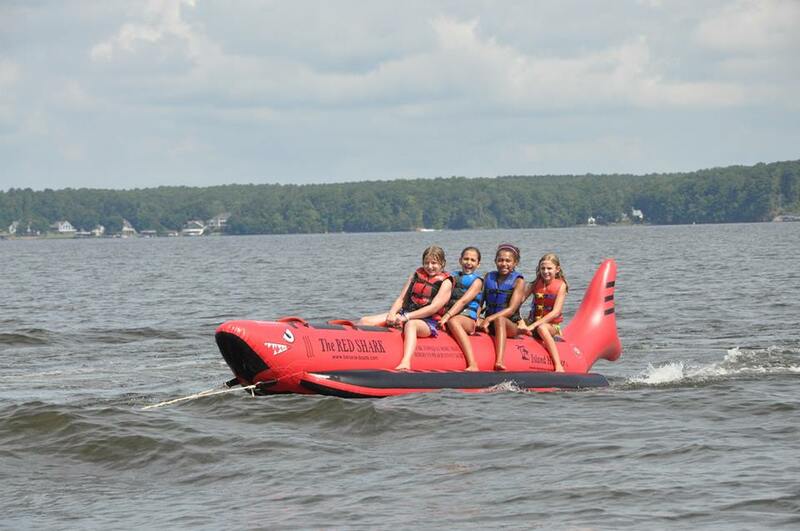 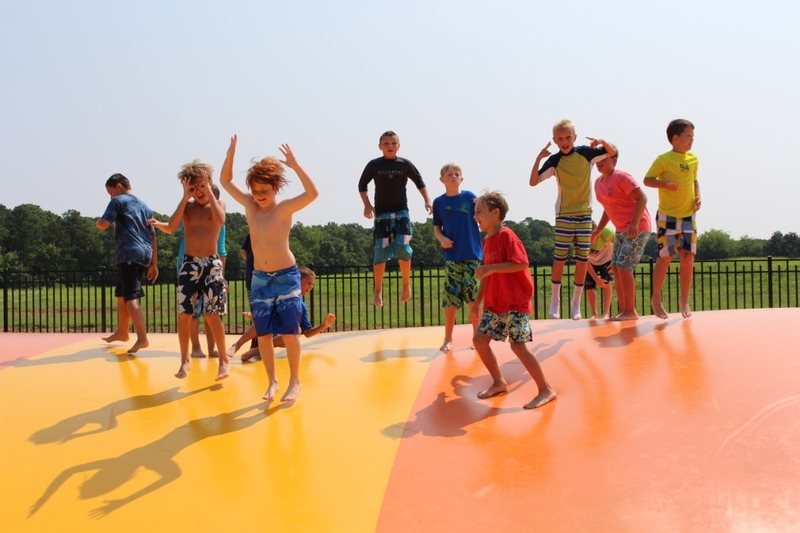 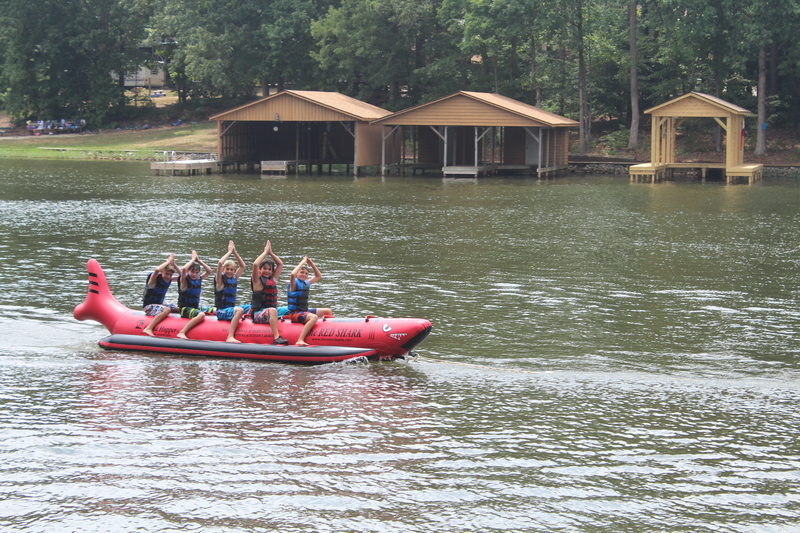 Each camper will have the opportunity to ride the Red Shark with campers from his or her dorm. 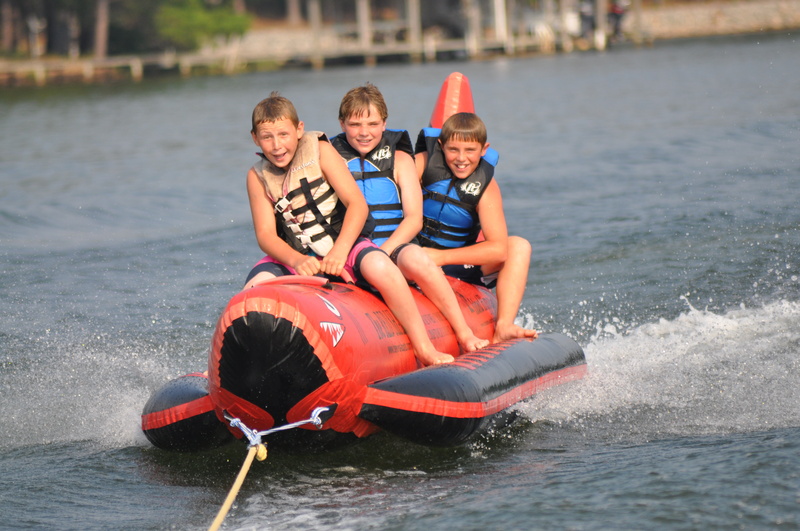 Year after year this exhilarating ride leaves all campers wanting more! 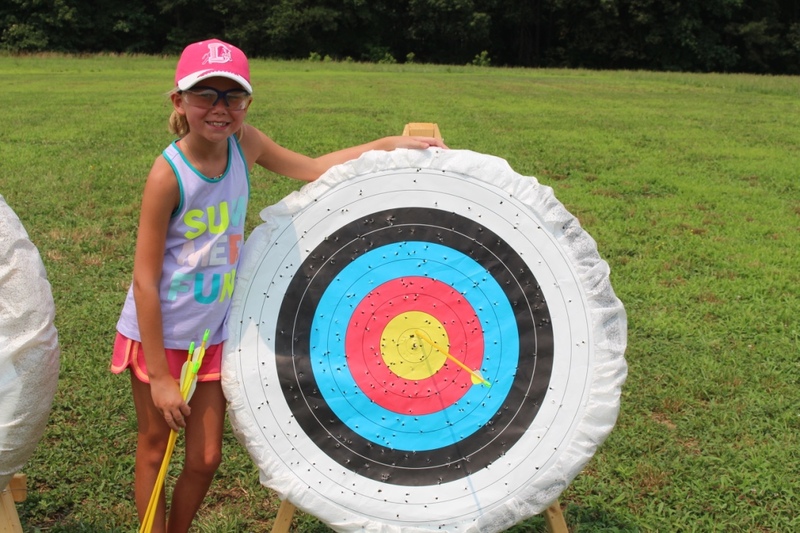 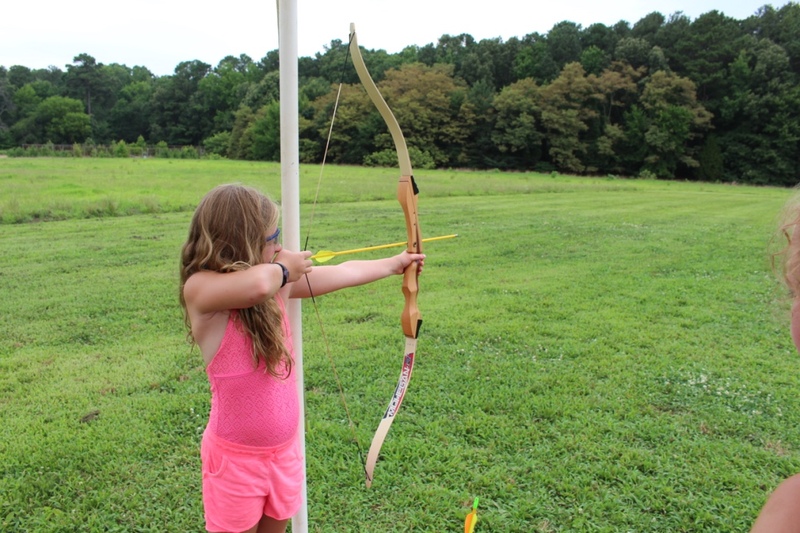 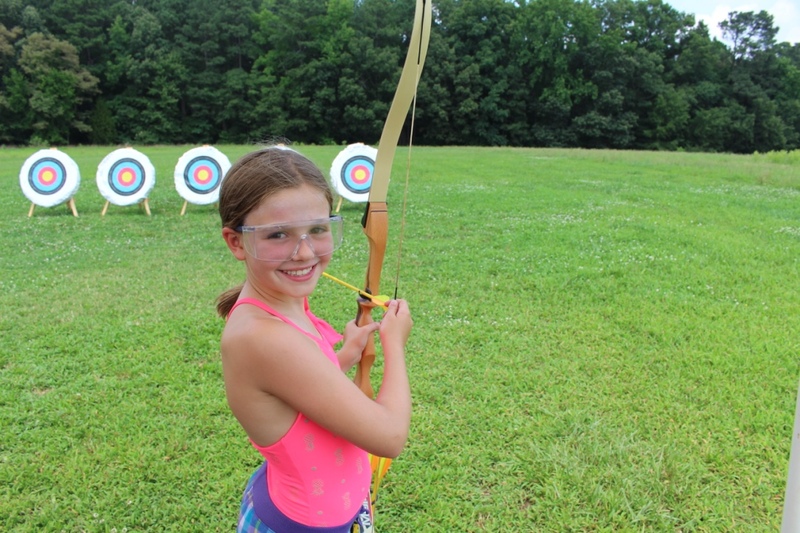 Our trained instructor will teach each camper to be a proficient archer. 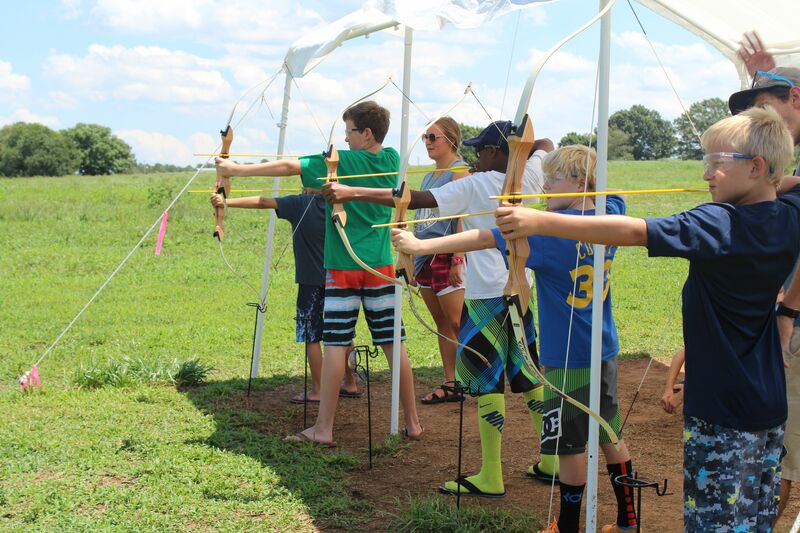 Campers will learn the fundamentals of good shooting and important safety guidelines. 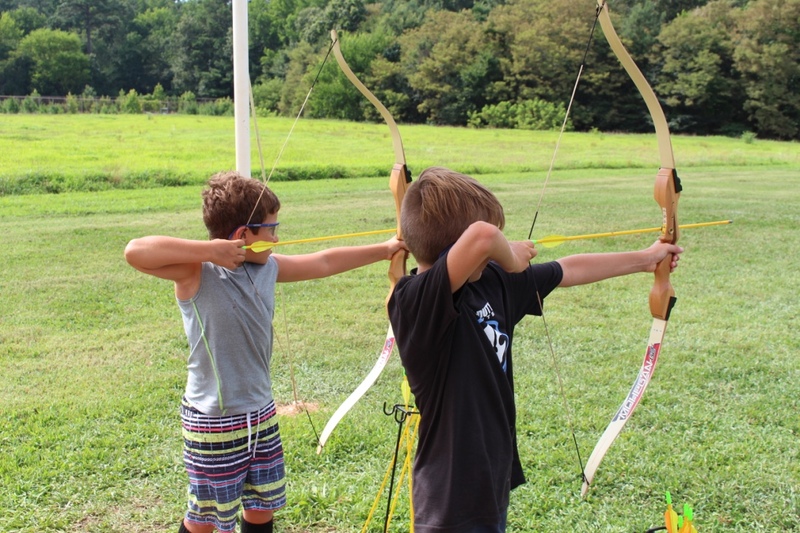 Challenges and competitions are available for all campers and this activity is fun and easy to learn for campers of all ages. 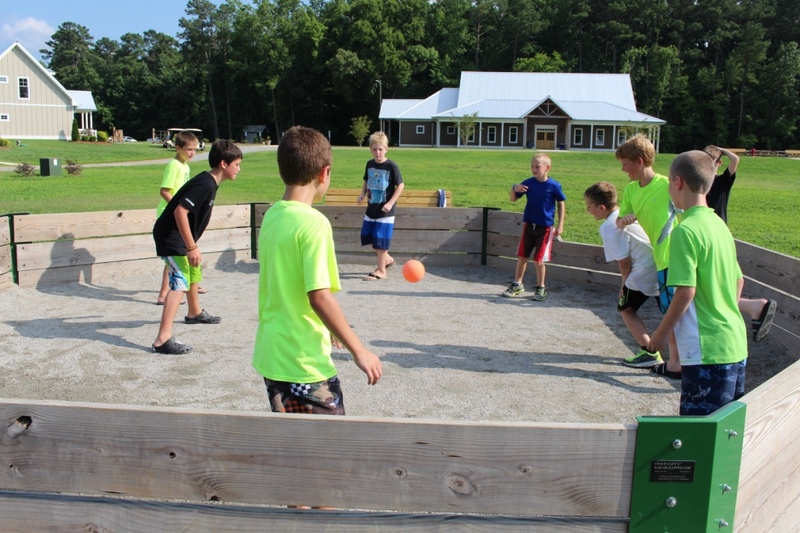 A high energy, fast paced, fun, and competitive game for all ages! 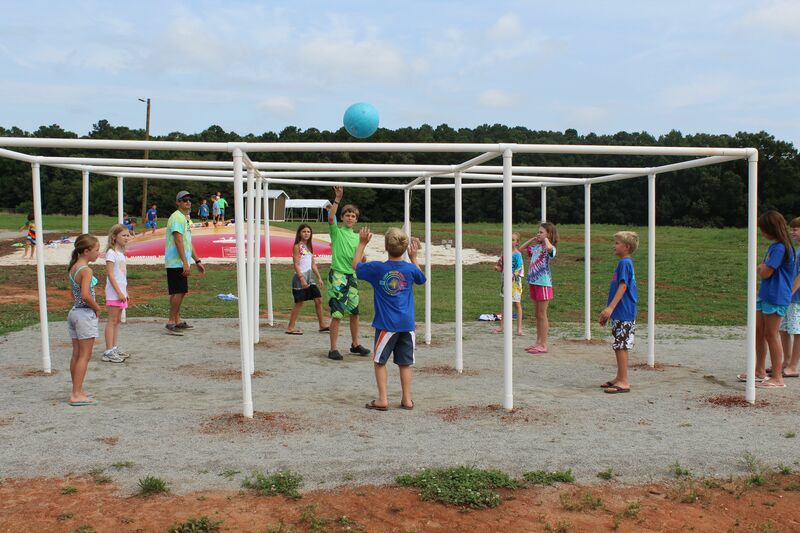 Played in an octagon shaped arena, this dodgeball variation is sure to be an exciting activity for everyone. 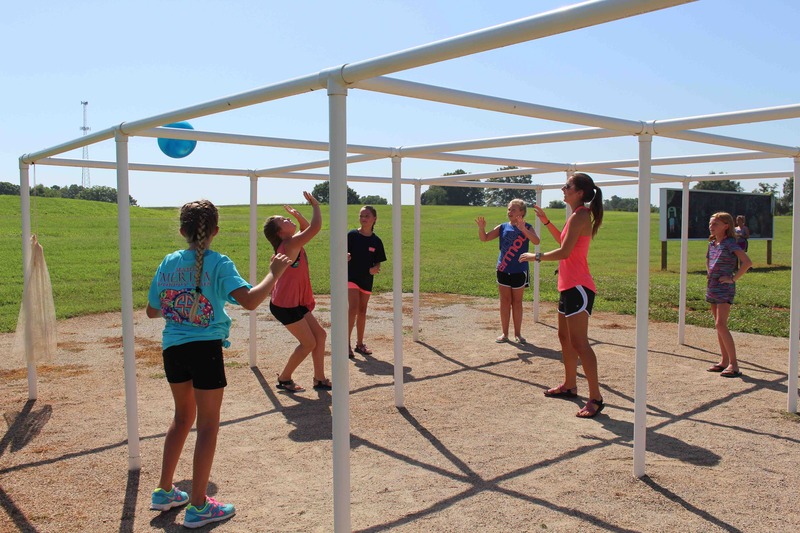 This large colorful activity is sure to catch everyone’s eye at CWS! 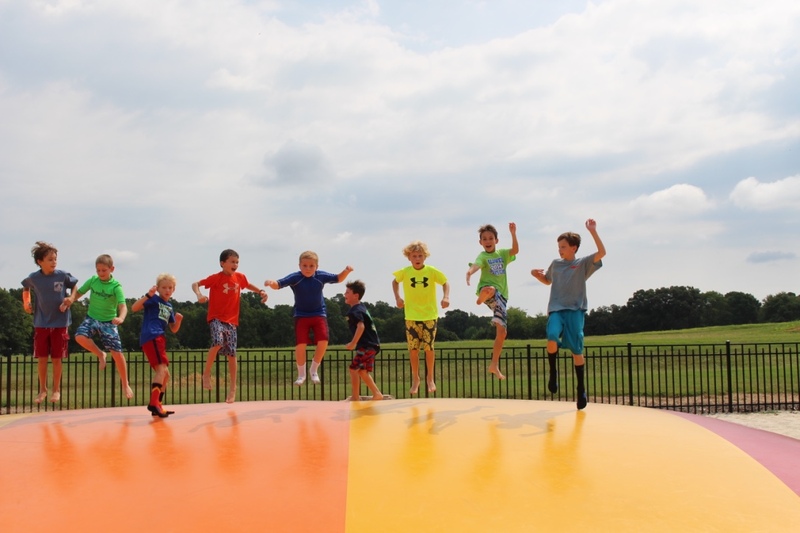 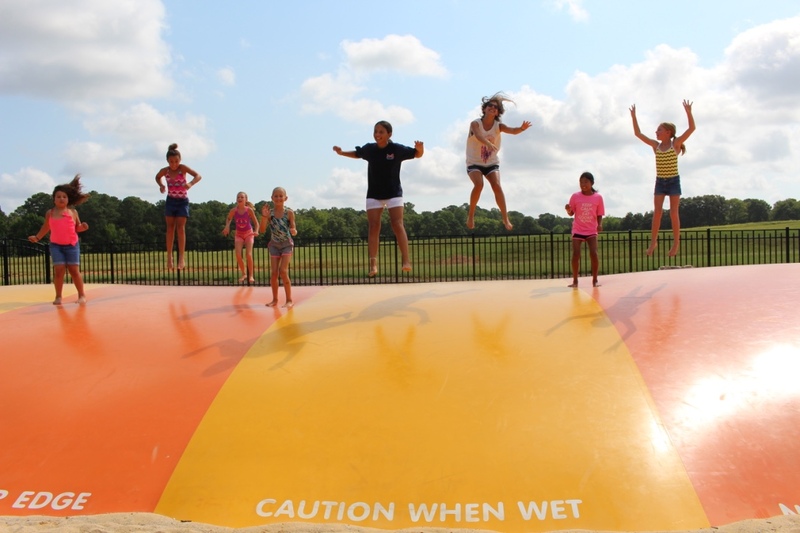 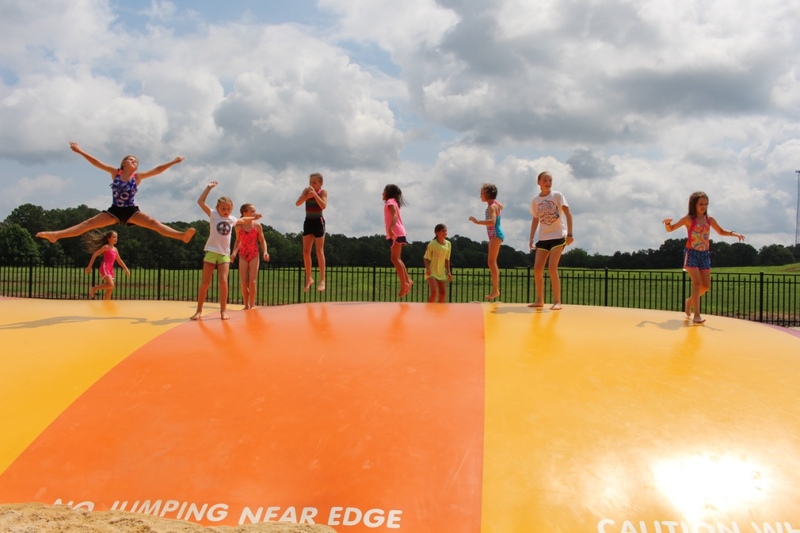 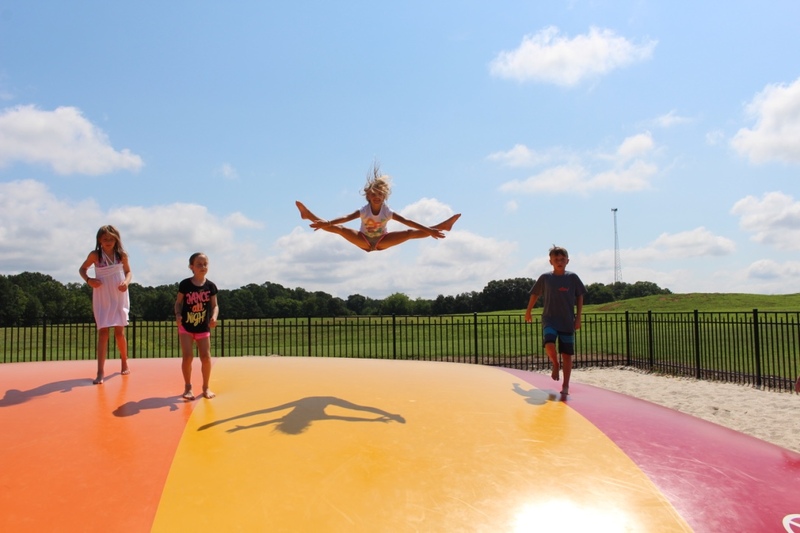 Jump, bounce, and play with all your friends on the jumping pillow. 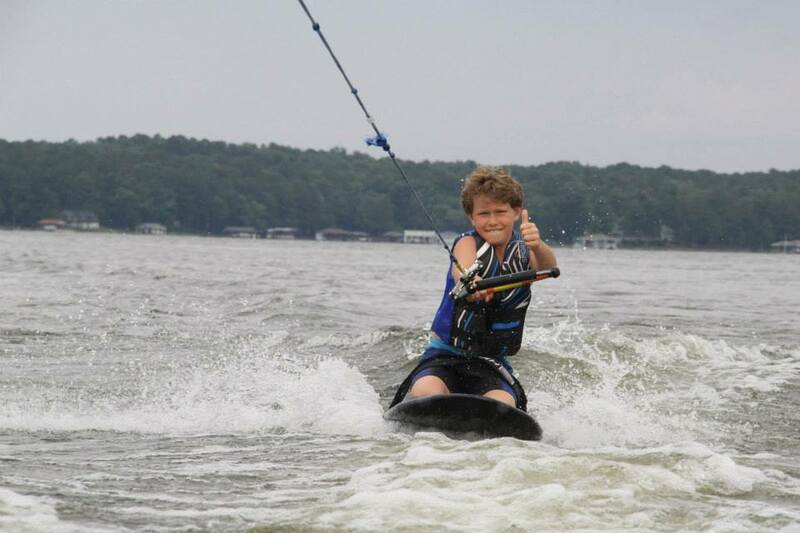 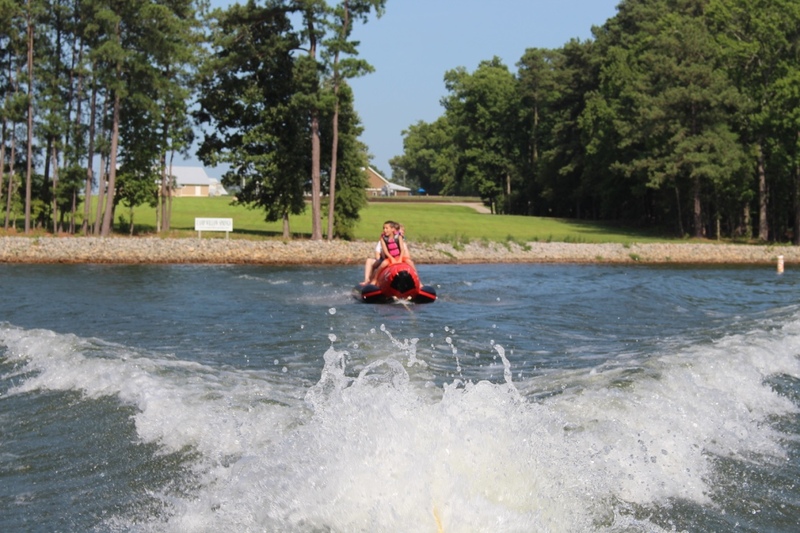 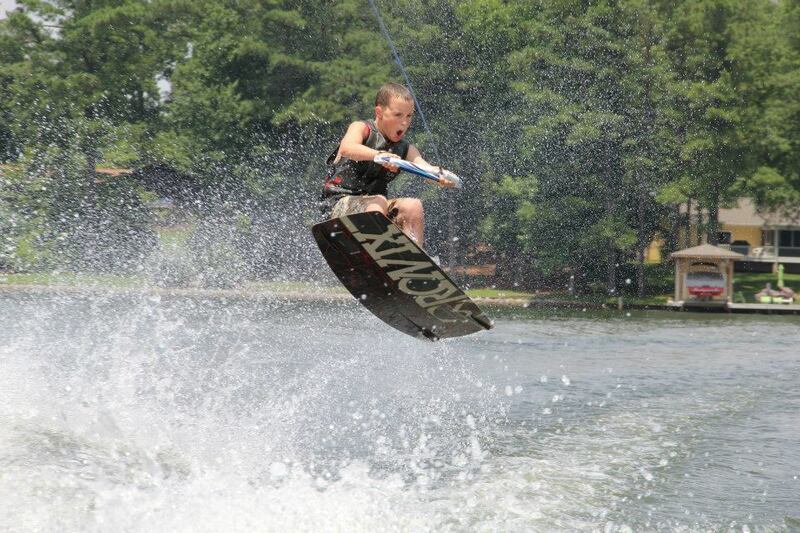 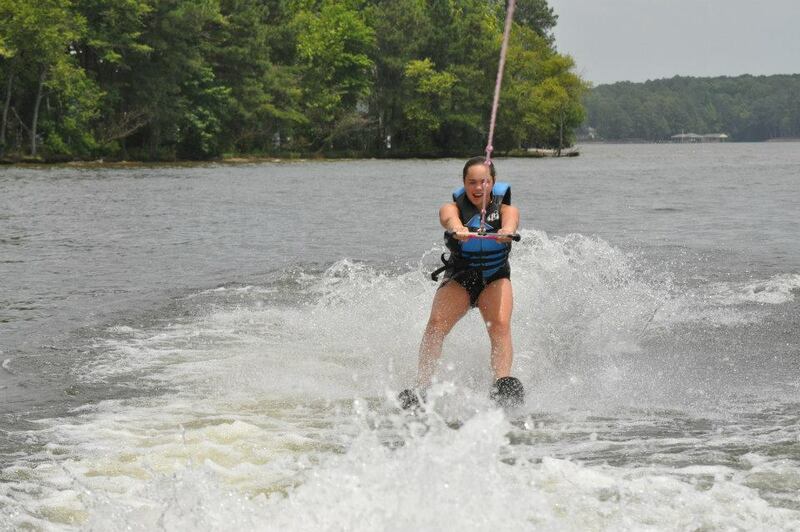 Whether a beginning or advanced skier, our waterski/wakeboard program is for you! 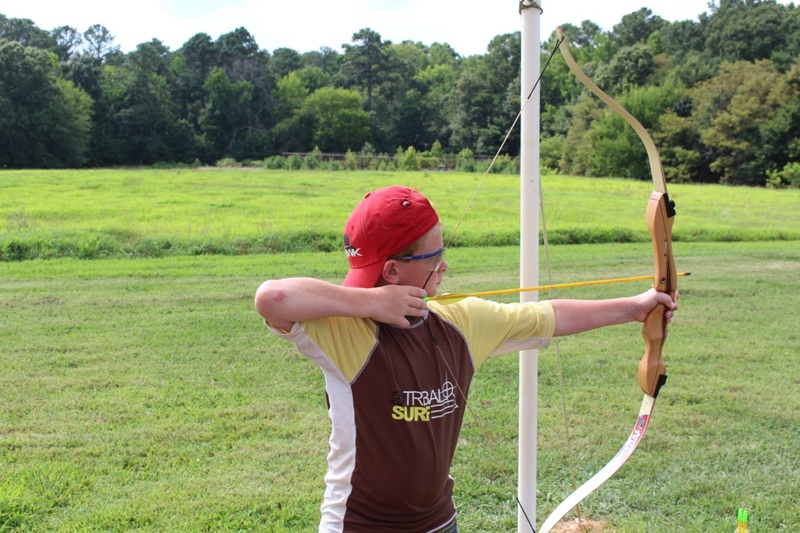 Our staff will provide individual instruction to each participant and help them improve their skills. 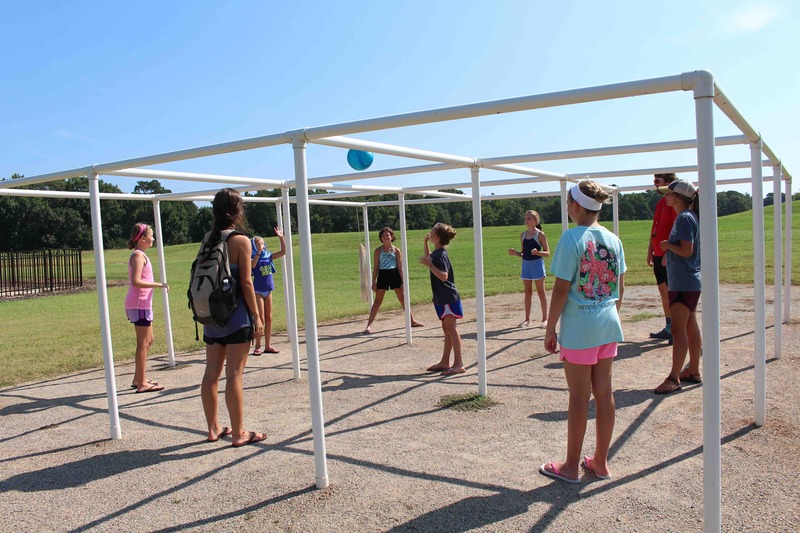 This activity will require advance registration and an additional fee. 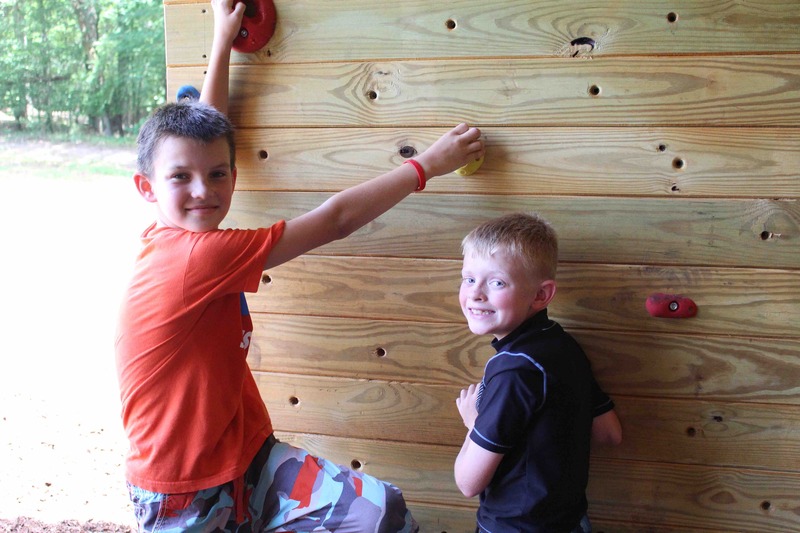 There will be a limited number of spaces available during each session. 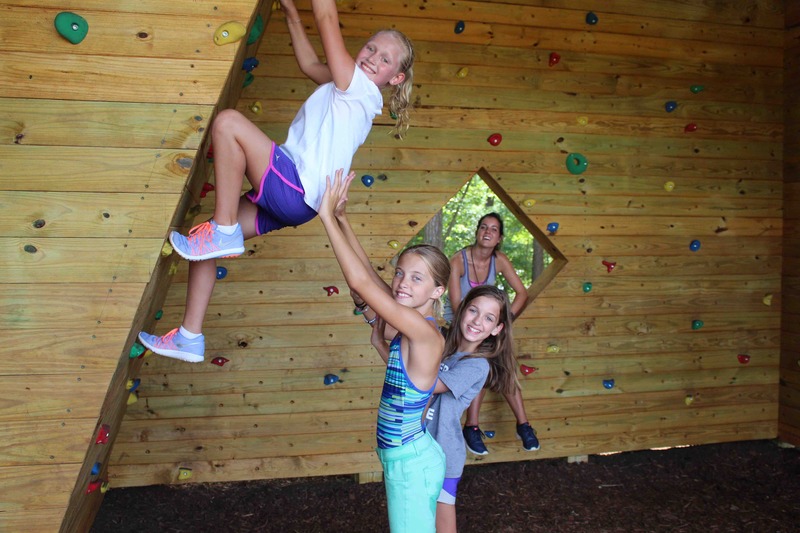 This climbing structure provides a challenge for climbers of all skill levels. 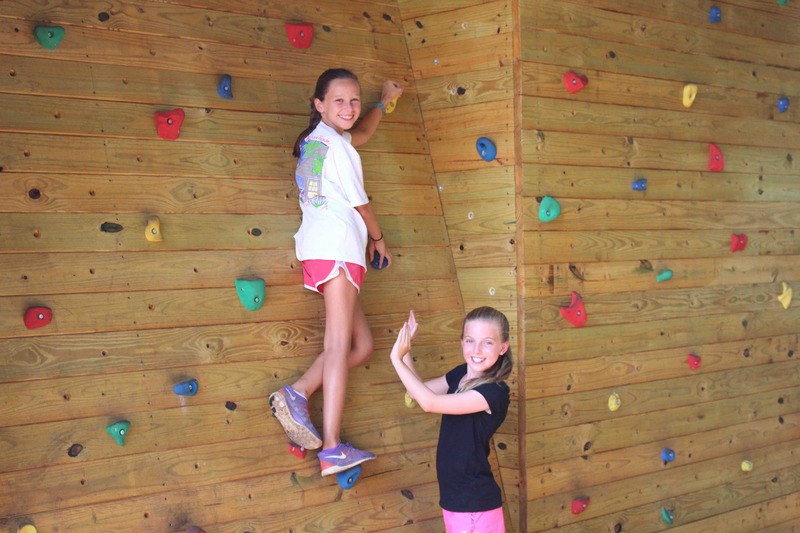 Our trained staff will teach each camper the fundamentals of climbing as they climb horizontally throughout the grotto. 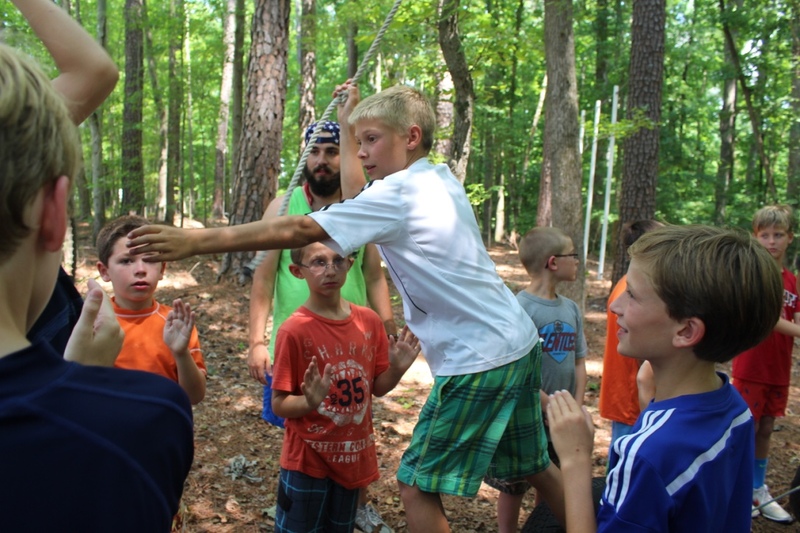 Each person can choose their own level of difficulty and set their own goals. 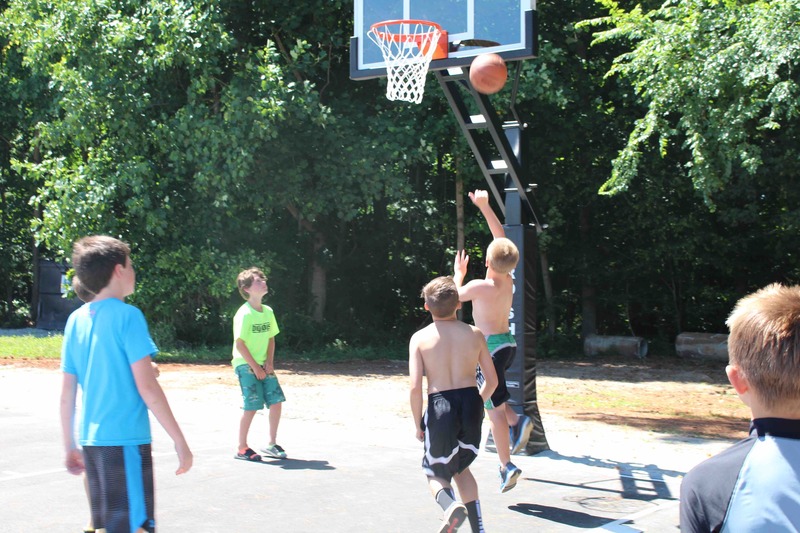 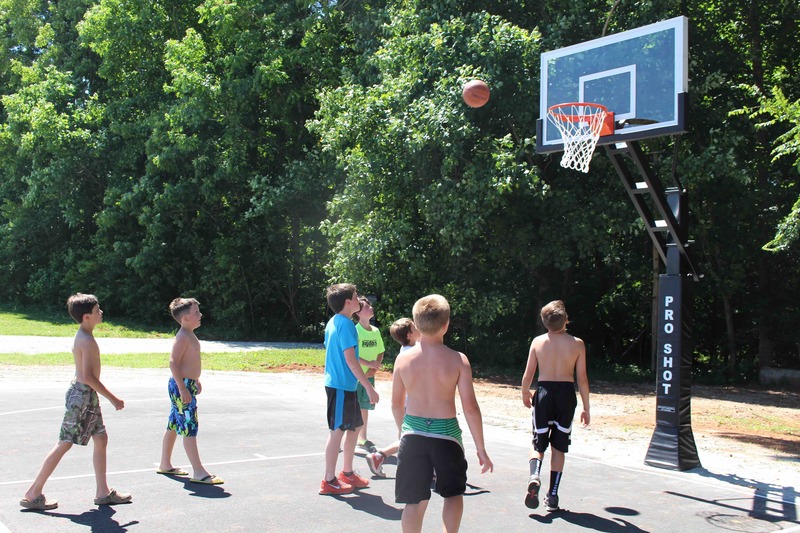 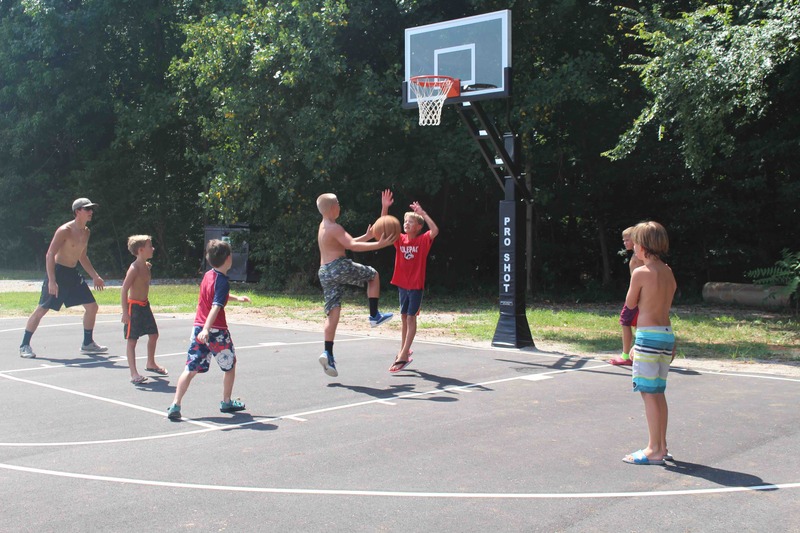 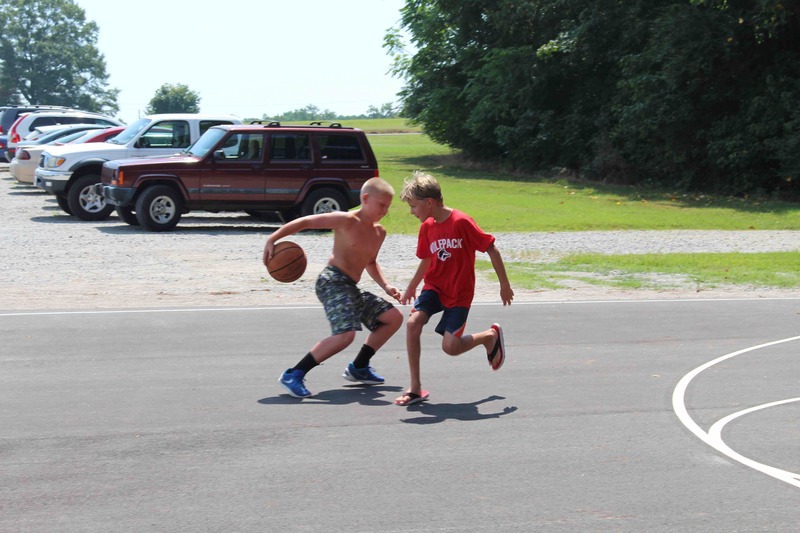 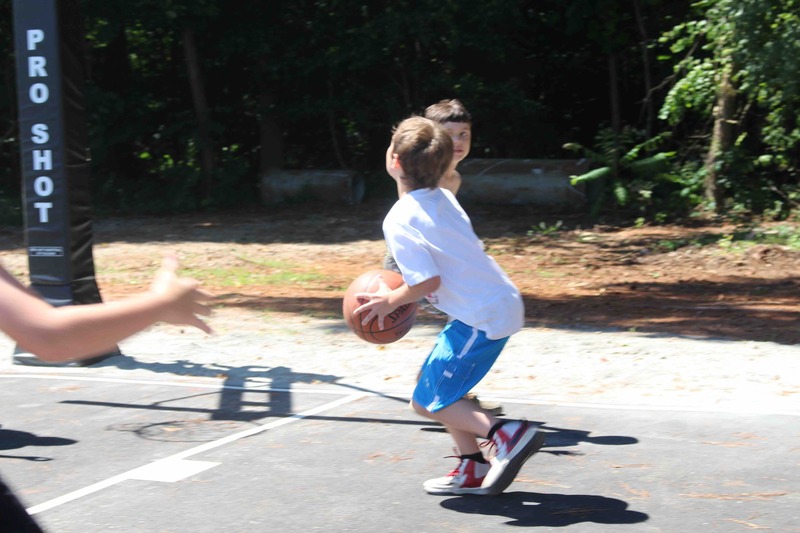 Our outdoor basketball court is a great place to play a competitive game or just shoot around with your friends. 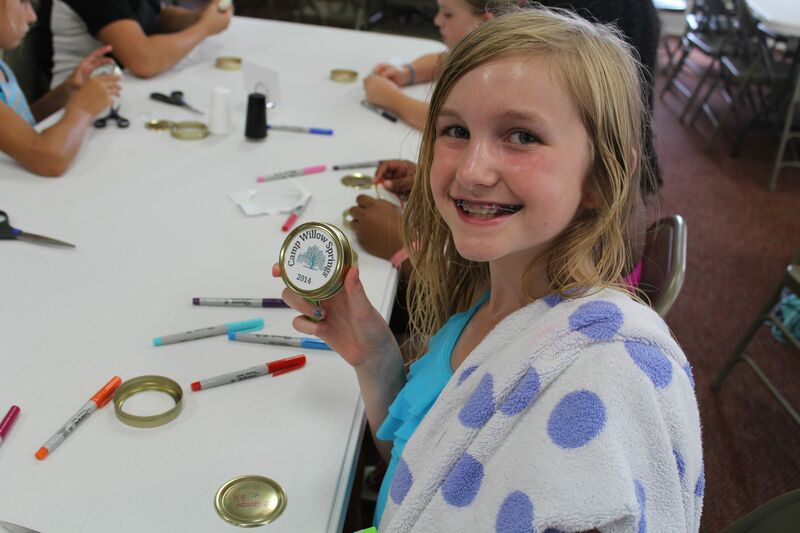 All campers at CWS will have the chance to participate in a time of arts and crafts, guided by our summer staff. 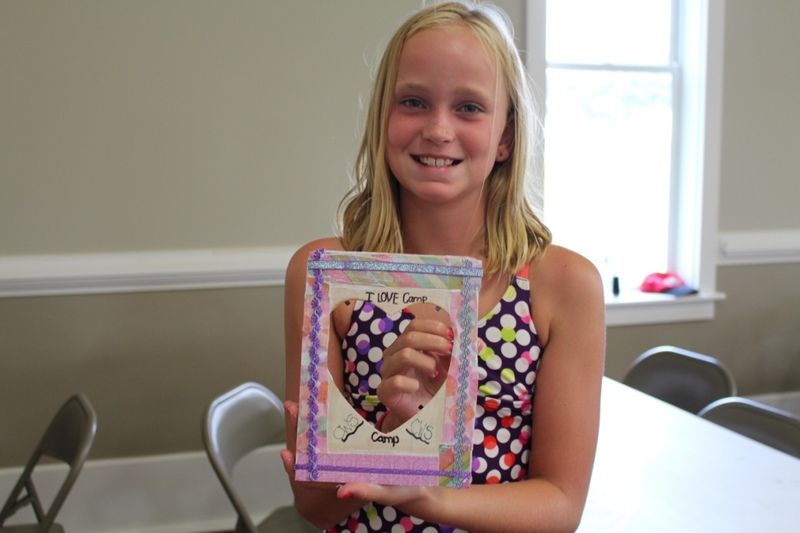 Campers can take their crafts home at the end of the week to share with friends and family. 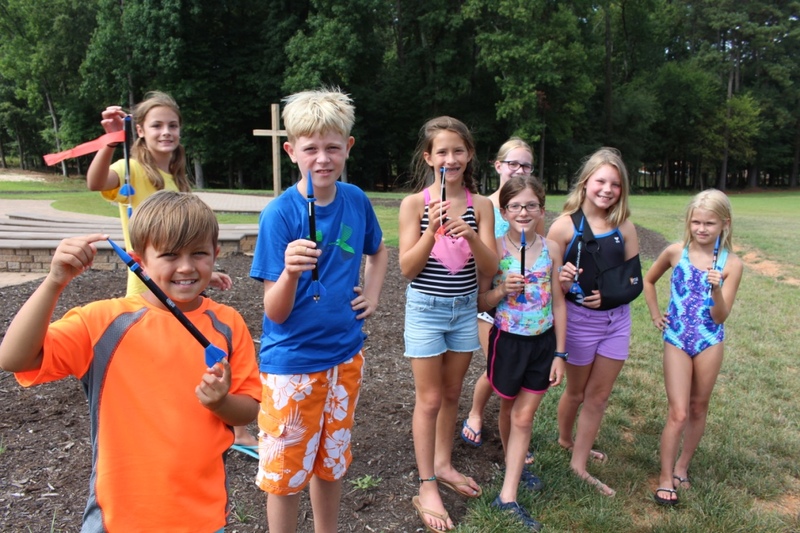 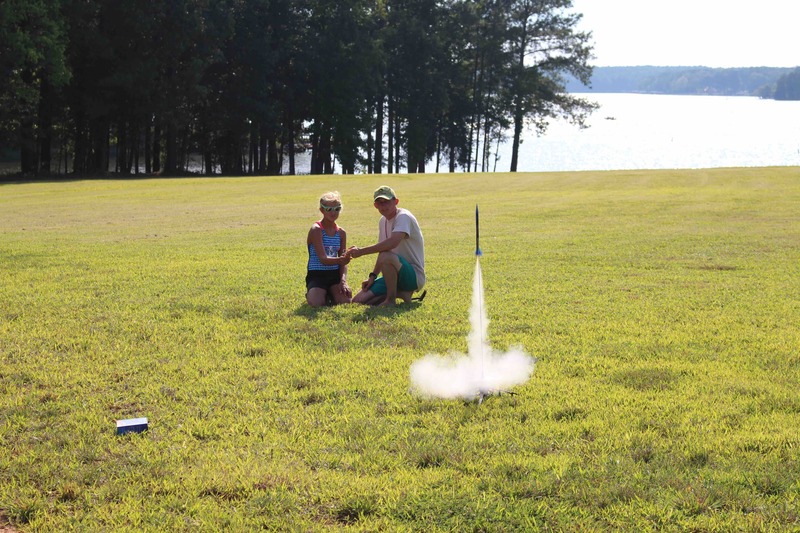 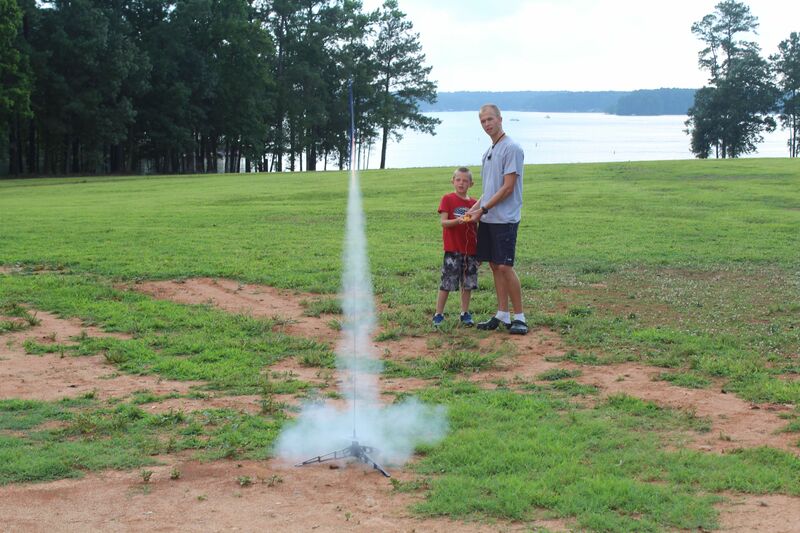 Campers will have the opportunity to build and launch model rockets during their time at camp. 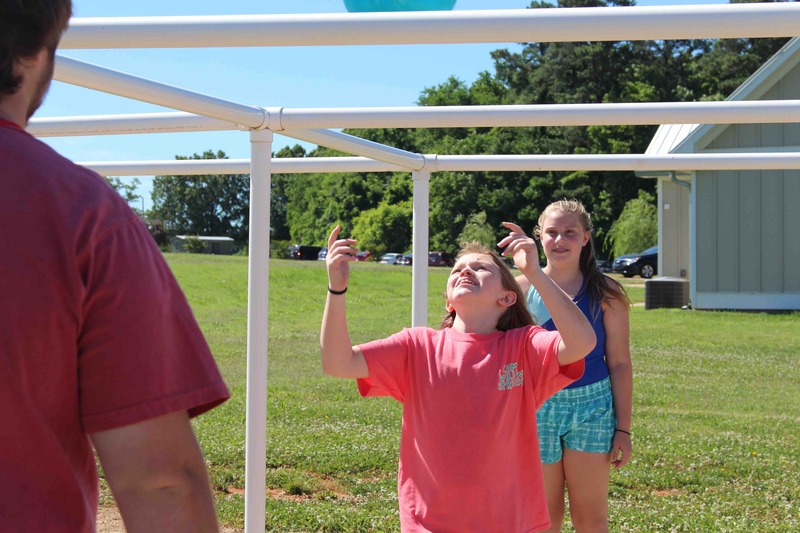 Staff members will assist them in the building process as they prepare for launch day. 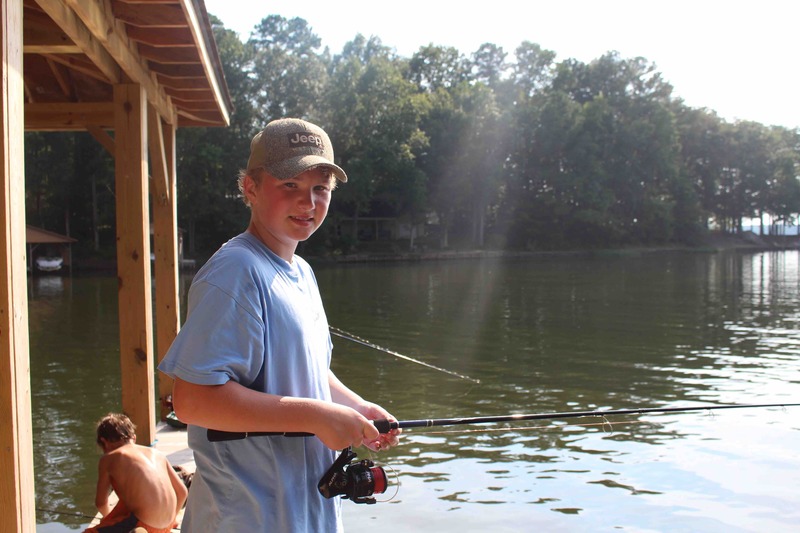 With our location on Lake Gaston, fishing is a great activity that can be enjoyed by everyone. 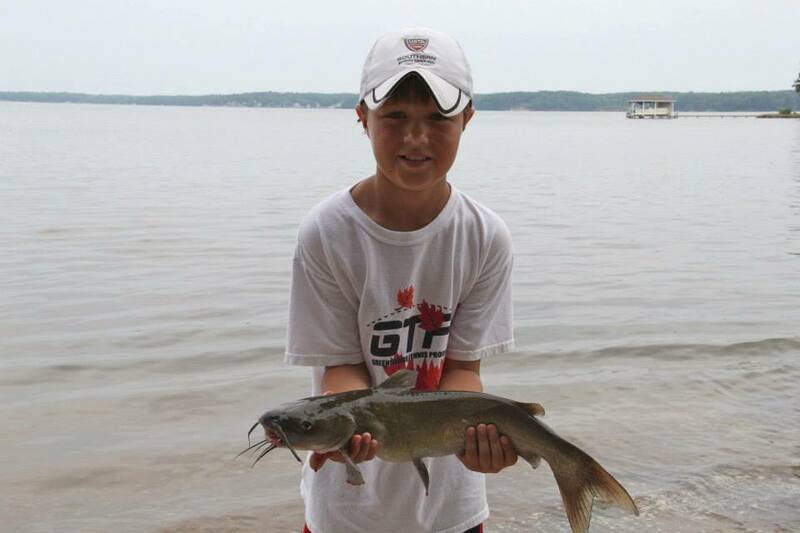 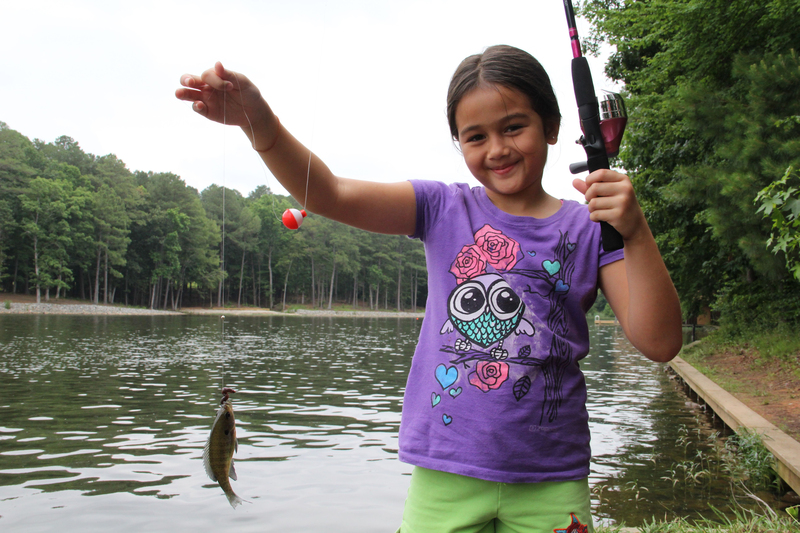 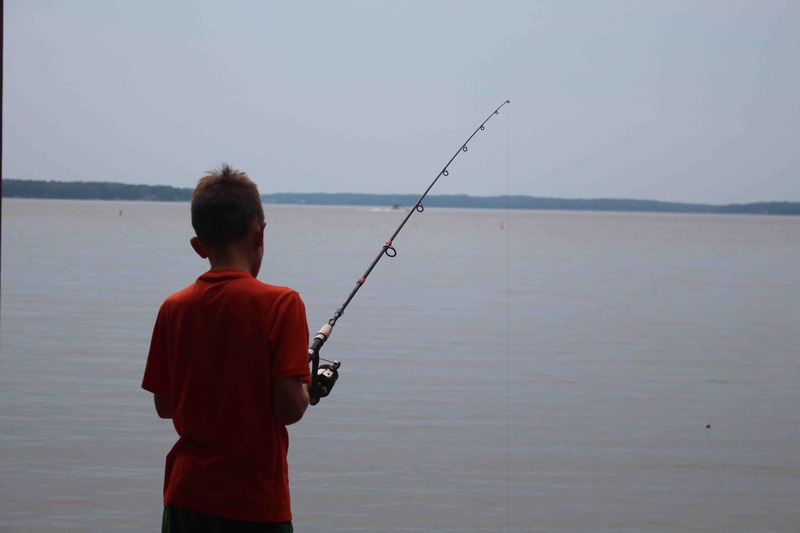 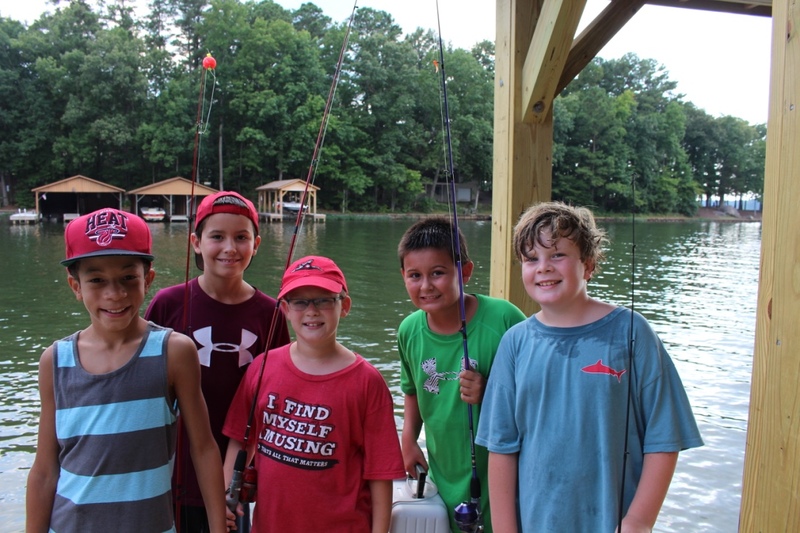 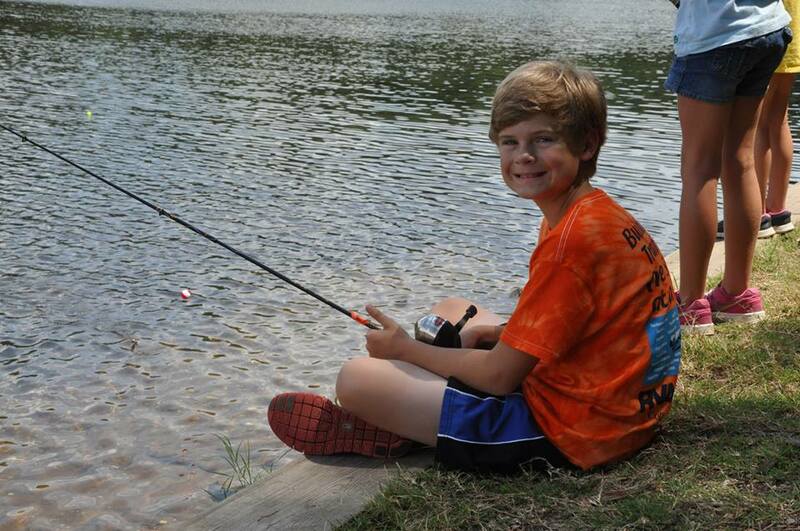 Campers must bring their own fishing pole and tackle with them to camp. 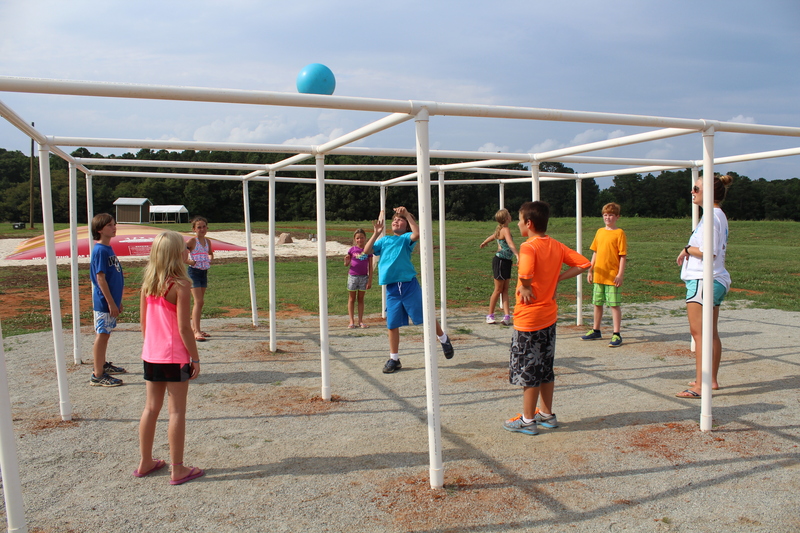 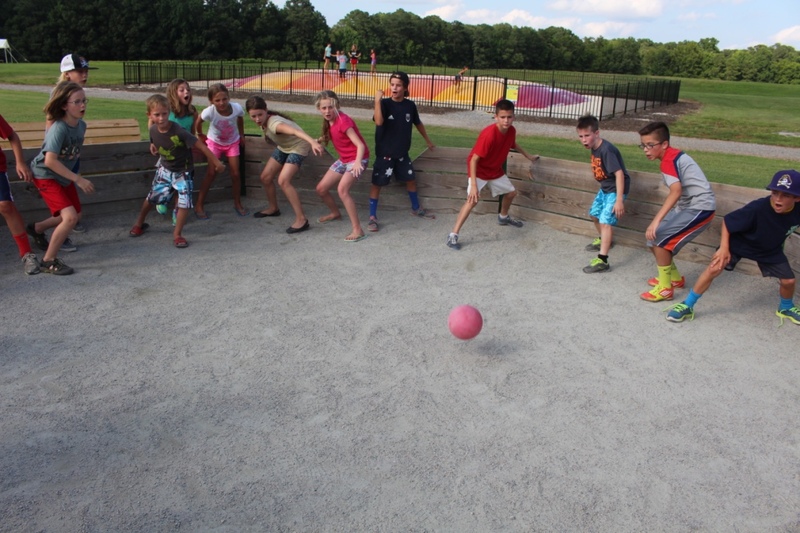 This game incorporates the rules of four square and adds several twists! 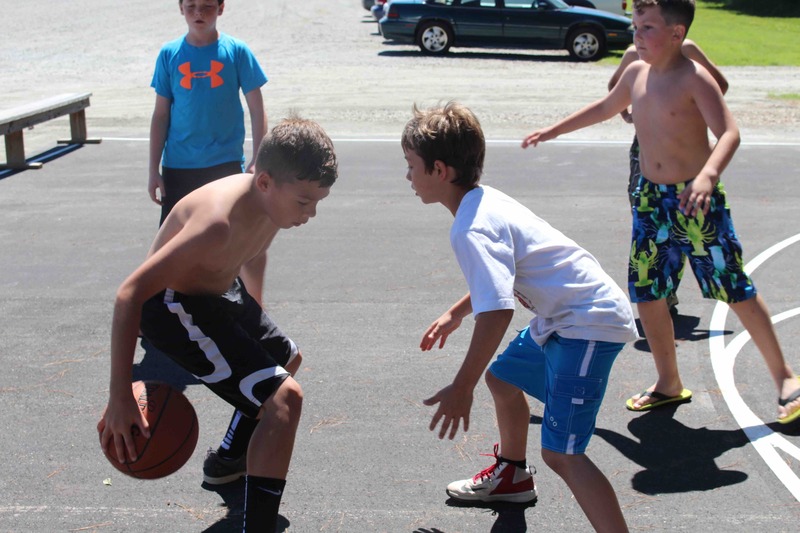 Campers of all ages will enjoy trying to become, and remain the king. 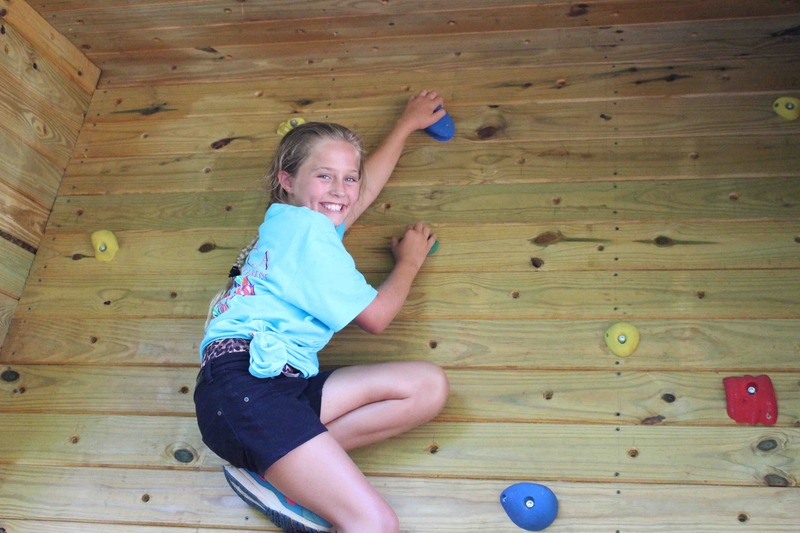 Campers can use their creative talents on our outdoor Chalk Wall and express themselves for the entire camp to see.